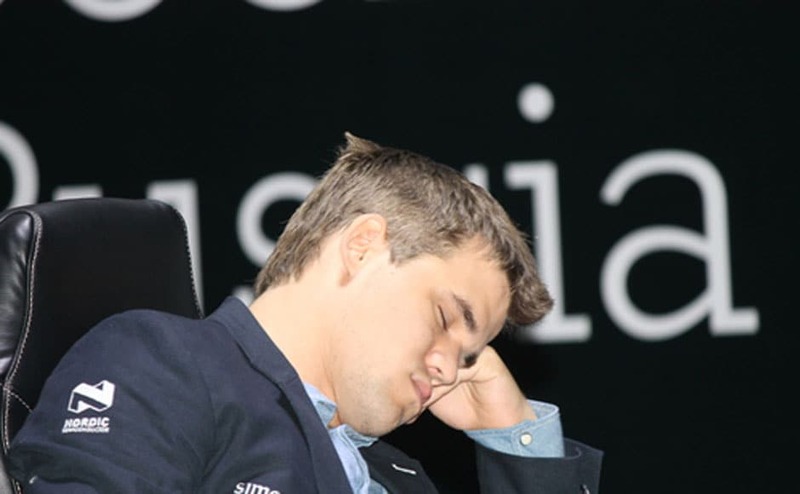 "I made many mistakes.I just got way too casual," three-time defending champion Magnus Carlsen said after a gruelling six-and-a-half hour match against Fabiano Caruana with 80 moves. 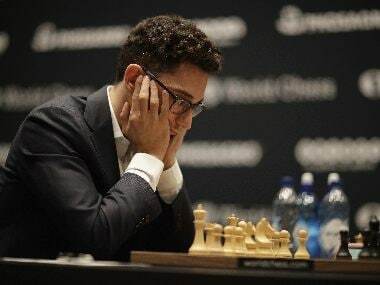 Three games down, the World Chess Championship match has remained deadlocked with three straight draws. But the games were neither short nor insipid — the players opted for a full-blooded fight from the word ‘go’ this time. 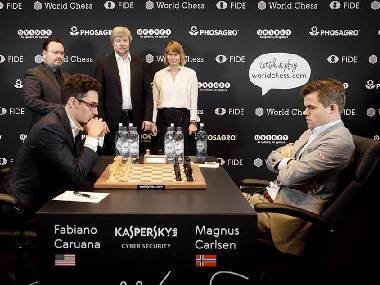 Chess World Championship: Magnus Carlsen given a run for his money; can Sergey Karjakin have last laugh? Carlsen has a clear edge because he not only has the momentum, and having the right to make the first move is always an advantage. 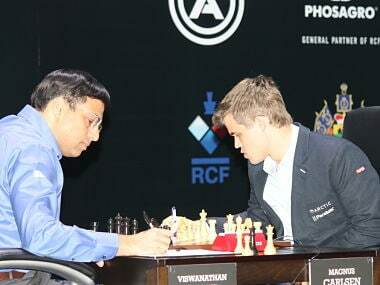 Photos from game eight of the World Chess Championship between Anand and Carlsen. 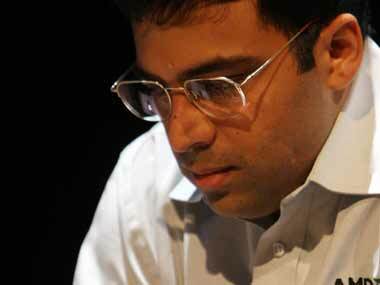 Game 7 of the Magnus Carlsen-Viswanathan Anand match-up was chess' equivalent of a marathon and when the players come out for Game 8, the mental fatigue will be a huge factor. 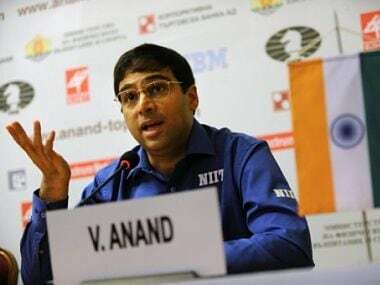 After losing his World Championship title, Anand bowed out in the group stage of the London rapid and also his performance at Zurich in March was not upto the mark. 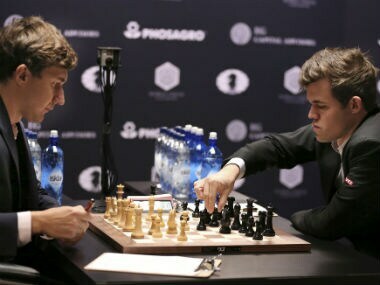 In terms of hype, the match between five-time champion Anand and world number one Carlsen is comparable to the historic clash between Bobby Fischer and Boris Spassky way back in 1972. 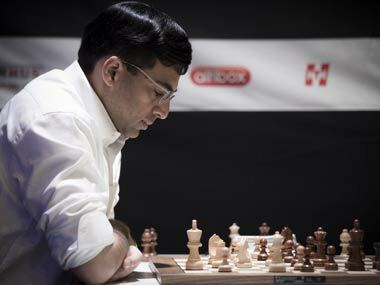 Although he had won two world titles in knockout and tournament formats, Anand still had to win the world championship in a match.